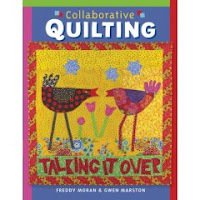 I just finished reading, cover to cover in one sitting, Gwen Marston and Freddy Moran's Collaborative Quilting book. What a fun read! I wanted to put on a pair of sunglasses, dig into my ultra brights and go for a wild quilting ride! Have been waiting for this book for a month and it was worth the wait. No wonder their books are included with titles like 'liberated' this and that. 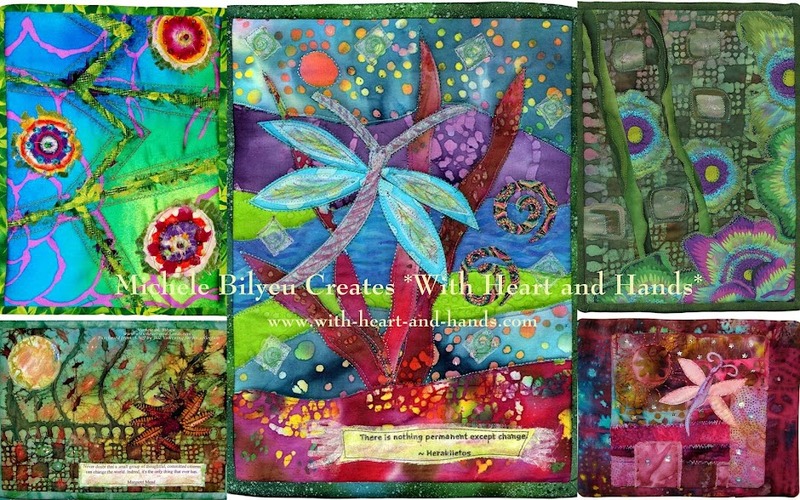 You feel liberated just by the sheer energy and power of their colors and design! After a while, you believe Freddy when she tells you that red is a neutral color. Compared to her other choices,it truly is! And Gwen's sense of design is just inspiring. I was struck by the synchronicity of her references to Hubbard, Oregon. The talented Mennonite quilters there, were her very first quilting teachers and she studied and worked with them for year and years. 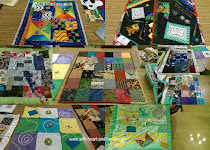 My community quilting group is bussing up there tomorrow to see their annual quilt show! There is nothing like putting a gaggle of quilters in one van and going anywhere together...it's hard to beat that kind of fun! Quilting is already turning into an dangerous sport for our little quilting group. One of my fellow quilters cut her hand on a rotary blade one Monday...needing six stitches... and Sunday, another one broke her leg (at home)getting up from quilting in a hurry....to answer the phone. 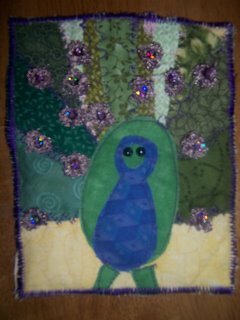 Who would have guessed you need liberated health insurance to cover quilting? Back to being drowned in my fabric scraps, on fire with good ideas, and in a storm of creative activity. Warning: Read this colorful book at your own risk!!! The library didn't have that book when I checked last, but i will definitely have to check again. I've read the liberated quilting one, and it has freezed some of my hangups, even though I haven't done anything liberated yet. This one is so bright, you need Valium before and Excedrin, afterwards. I am talking major, major color, here. 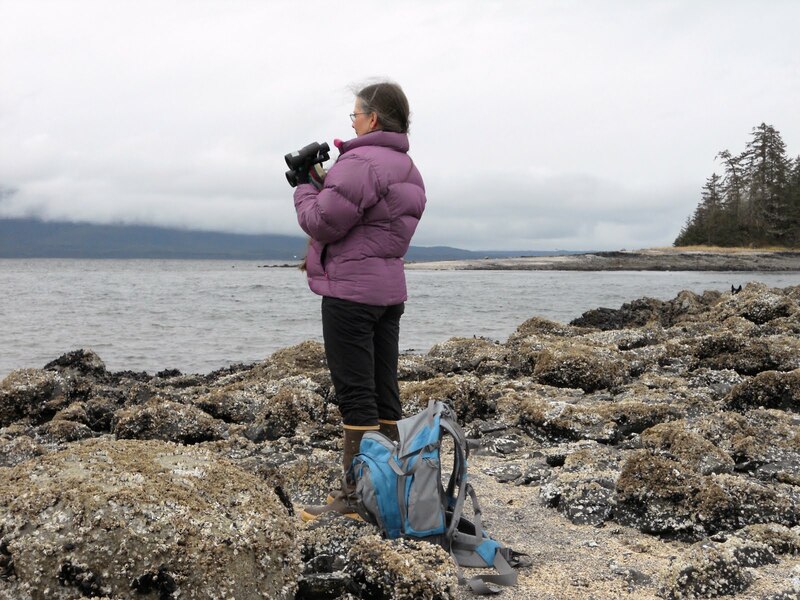 What it did was make me realize (mostly by looking at their houses) that two VERY different women could come together and not only work together and make amazing quilts but have a lot of fun, as well!